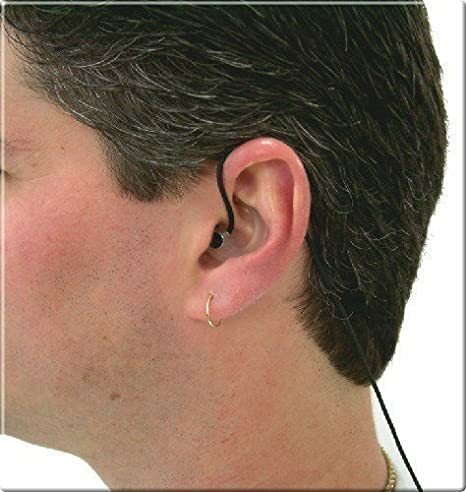 In-ear binaural microphones: Which ones are best? I'm looking at picking up a set of in-ear binaural microphones and curious if anybody here has any experience with any of these. I will be using these with my Zoom H5. The benefit to these is that they have a dual function (microphones and headphones for monitoring). I am not familiar with this brand. Although, I do like the way they sit in the ear. These look to be the most comfortable and secure of the options I've come across. The one for $149 appears to handle louder sound. Of course with these, there's no monitoring. I am familiar with this brand having used their countryman-style mics in a pinch and they make great mics. These are also the cheapest of the options. While maybe not as comfortable as the Sound Professionals might be, these look ok. I'm finding it difficult though to locate any examples. The reviews seem pretty good on B&H. Also with these, there's no monitoring. Anybody use any of these? Any others I should check out? Thanks! I too have been looking round for a pair of these for my H5. The brand i've been mentioned several times is that of soundman ( http://www.soundman.de/en/products/ ). A long time recording engineer i know used both the Roland's and the Soundman (he even tested them on a head model like the one made by Neumann and Soundman) and is quite happy with the quality of the Soundman and suggested i steer away from the Rolands. He liked the stereo image a lot better from the Soundmans. I think there are a few video's on YT with recordings made through these. Olivier wrote: I too have been looking round for a pair of these for my H5. The brand i've been mentioned several times is that of soundman ( http://www.soundman.de/en/products/ ). A long time recording engineer i know used both the Roland's and the Soundman (he even tested them on a head model like the one made by Neumann and Soundman) and is quite happy with the quality of the Soundman and suggested i steer away from the Rolands. He liked the stereo image a lot better from the Soundmans. I think there are a few video's on YT with recordings made through these. Thanks! I'll be sure to check these out! I have also looked at the 3dio mic. Great for recording and monitoring at the same time. I have the Soundmans as well, couple of years now. They're pretty awesome! You can get a pretty nice homemade setup with just two electret omni capsules attached to an old walkman-style headphone frame (which is basically what most of these are). Can't find the recordings right now but I did record some ambience from the Wacken festival to help me sleep. Yes, I can sleep better with a cacophony of different metal styles from car radios, laughing and screaming people and a far away huge PA system blaring some live band around me Capsules are around 5-10€ and a dual preamp board around 5-10€ as well. I'm still seeing some pros of each. First with the SoundProfessionals MS-TFB-2, they handle loud sound well. And they look most comfortable to me. They also seem to be the ones that sit furthest into the ear (if that makes that big of a difference in the binaural effect). The Roland CS-10EM still sound pretty good to me, and the added bonus of being able to monitor while recording is great. I think they sound pretty clear and achieve the effect well. The Soundman ones come with a cool case! They look nice. They look like they too handle loud noise well. I am having a hard time finding good examples using them though. The ones I have found on YouTube make them sound way too bright and noisy. I feel like it might be the people operating them. Does anybody have any examples they can point me to for the Soundman mics? Thanks! I don't think I am looking to build my own. I feel like I'd rather go with something tested and approved by others for this use. I have both the XYH-5 and XYH-6 mics for my H5 and I feel they pick up stereo sound very well. So looking for something that is already built/optimized for this particular use. Interesting difference between the dummy head vs the in-ear approach. Kinda like a chest or helmet cam vs a hand held or tripod based camera. They give totally different results and ultimately each would be worth having if you're going to be doing this sort of work on a regular basis. Would of course be very interested to hear what you do with these Joey! I carry my dummy head with me at all times. I store it conveniently on the end of my neck. Jon Heal • • Do not click this link! Ocean of Waves wrote: I have the Soundmans as well, couple of years now. They're pretty awesome! When i bought my molded musicians earplugs, the seller adviced against getting them with an integrated cord. He said that people reported hearing the cord move through the plugs. Do you find this happens with the soundmans ? joeyluck wrote: The Soundman ones come with a cool case! They look nice. They look like they too handle loud noise well. I am having a hard time finding good examples using them though. The ones I have found on YouTube make them sound way too bright and noisy. I feel like it might be the people operating them. Does anybody have any examples they can point me to for the Soundman mics? Thanks! sure, you got something specific you want me to record? Ocean of Waves wrote: found these already? Thanks. It was actually that video I found on YouTube that I didn't really like. Will check out the audio demos tonight when I'm home. This guy just released another video with the Roland's recording onto a Zoom H6. I think the guitar later in the video sounds pretty nice. His videos show in detail using the mics, he's got some where he's out walking around which is great and some while sitting in bed. I think it's best to see it with video as that just helps with the binaural experience. It's also just nice to see them in use. Before i buy i'll ask him to lend me his Roland and Soundman because i know he has them both so i can hear for myself which ones i like best. To me the Rolands sound pretty ok, not much difference IMHO. You must do what you think is best of course, I can only recommend the Soundmans because I have those. The Roland fits differently inside the ear, I wish mine had that fit as well. Last edited by Ocean of Waves on 05 Dec 2017, edited 1 time in total. I've had both Roland and Soundman and prefer the Soundman. The Roland's didn't perform well in wind noise - no covers just a supposed design that stops wind noise getting through. Anything over a very light breeze was audible, you can roll off but I prefer not to. They were very difficult to use outdoors and if I walked too fast they were a problem indoors too. Not so bad with the Soundman. The other thing with the Roland's is the dual cable (for monitor and record). I was not taking enough notice, plugged the cables into the wrong ports on my Zoom and boom! Bye bye Roland's.... Monitoring while recording is an excellent feature though and I do miss that with the Soundman - my tinnitus doesn't fare so well with ears plugged up so the Roland's were nicer. You can choose the sensitivity of the Soundman but the Roland's are fixed - they are fixed nicely though, seemed to be well thought out. Superficial but as said above the box for the Soundman is awesome! I finally got around to purchasing some in-ear binaural mics! It has been on my list for some time clearly, but other sound things took priority here and there in the past based on what projects I was working on. Now I'm ready to have some fun making some binaural recordings. 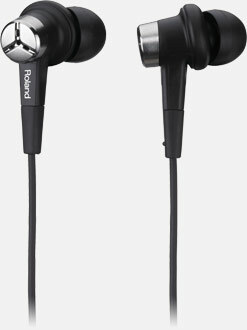 I based my decision on much of what I gathered from my first impression: these look to be the most comfortable and they sit furthest in of the outer ear, which makes sense for capturing the best binaural effect recording. And I have liked the recordings I have heard...and looking forward to posting some of my own here soon. Their customer service has been quick to answer all of my questions. I had considered the Roland's for the dual function, but I never have had good experiences with those types of ear buds in the Roland CS-10EM: those types always falling out and causing discomfort. I also looked at the Sennheiser AMBEO headset, which came out after this thread had been created...those require an iOS device. I now have an iPad Mini, but that's a bit much to lug around...and where the mics end up being positioned outside the ear, doesn't seem to be as conducive to getting the best binaural effect. I thought the demos were just ok. I'll be using the MS-TFB-2 with my Zoom H5. Should arrive sometime this week! Can anyone explain how this guys avatar is so big? Great solution also just using your iPhone. I have Rolands and it seemed to me that the built-in microphones in my zoom h-1 sound better. But Roland in something more convenient - you can imitate a walking music lover instead of a geek fieldrecordist who have device with red button. But for me the main problem now is the need to record a sound not in the h-1 but to iPhone, but I do not know present adapters or mobile sound cards for iPhone with 3.5 stereo jack plug-in power. I had seen these as well being compared to the Sennheiser AMBEO headset, but ultimately didn't want something that relied on being charged and Bluetooth pairing. It does come with a cable, that might be a little bulky, but perhaps the wind up feature would be convenient for some and I wouldn't need the USB connection portion of it if using with a field recorder. And I was still sold more on the ear fitting of the Sound Professionals model. These do look cool, but perhaps a bit bulky? 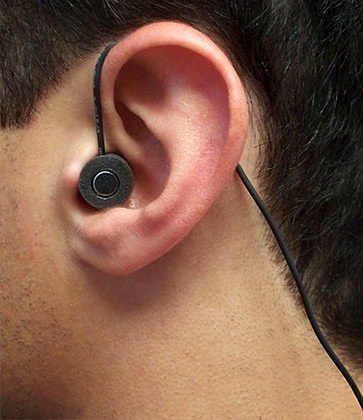 Aside from the earbud/earplug style, there's also the bit over the ear and the large parts that sit behind the ear to consider for comfortability. I also wear glasses and designs like these just don't work well for me They do look cool and would be interested in seeing if someone here has gotten this and could review it. Perhaps at some point they might release a non-Bluetooth version that doesn't need the electronics and battery, that are less bulky. Rolands have windproof caps (but easy to lose it). Well and still it is possible to put on a head a bandanna as wind protection. Last edited by ljekio on 13 Aug 2018, edited 1 time in total. Yeah I get great wide stereo recordings from the X/Y mics with my Zoom H5, but the binaural effect is a little bit different. Something that used to exist was the Tascam IXJ2. I think it might the older iPhone connector type. I got the binaural mics by Sound Professionals and they are really great! At some point I'll have something to share. I feel that the best examples can come from A/B comparisons (between these and my X/Y mics) but can't do that so well since the H5 is my only recorder with 3.5mm input and it overrides the X/Y mics. I also feel that it makes a more fun presentation when there is accompanying video...currently looking at those options. Pretty busy right now with shows requiring other things, but if I have time to record something soon that I think might be interesting on it's own, I'll share it!